2018 has been a great year for the iMadiba Project. We end the year with 18 sites in existence and we still have the dream of building 100 sites in Madiba’s centenary year, ending July 2019. We officially launched the project in July with an event at the JSE site. The site and the launch were made possible by our partner Satrix. We also enjoyed a number of site launches in July including at the Iziko South African museum and the Gateway to Robben Island in Cape Town; and at St Stithians College and the Nelson Mandela Square in Jo’burg. The project has been built in partnership with and in support of the Nelson Mandela Foundation. One of the aims of the project is to assist the foundation in its objective of honouring Madiba’s legacy, and inviting conversations in safe spaces. It has been made possible through the support of sponsors, and the ongoing need is to find more sponsors as the project grows. The project also produces income for the foundation. Most recently, we launched the sites at Nirox Sculpture Park, Constitution Hill, and Econorisk. The site at Nirox is the first of a new arm of the project; the iMadiba Artists’ Collaborative Editions (ACEs). We launched with an epic performance in the site by Grammy-winners Ladysmith Black Mambazo. With these copies we hope to bring together artists from all over the world to collaborate using the blank canvas copy (at Nirox) and build unique iMadibas all over the world. Learn more about the iMadiba ACEs here. Since the launch a few of the sites have been used for events and other conversations. In September, Iziko hosted an in-herit festival for Heritage Day during which Erhardt spoke to young students about heritage and the project in the iMadiba site. We have iMadiba sites at two schools already, and we are working on building at a few more schools. 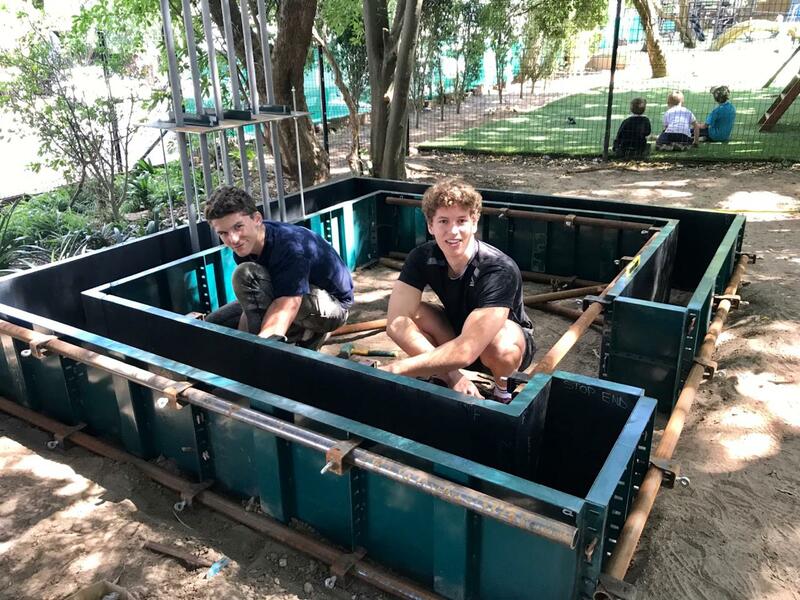 Just this week Erhardt was building a site with his sons at Jan van Riebeeck Laerskool, with the help of cement from PPC. St Stithians College (Saints) has done a wonderful job of using the iMadiba site. The Madiba family has long-term ties to Saints and it was wonderful to have members of the family at the launch of this site. Saints has used the site a number of times since it was opened: the Girls’ Prep, and the Girls’ College have used the site. The Girls’ College EXCO have also used the site for one of their meetings. This is a great way they are using the site for conversations for change as we all know that a number of important matters are discussed in executive meetings. 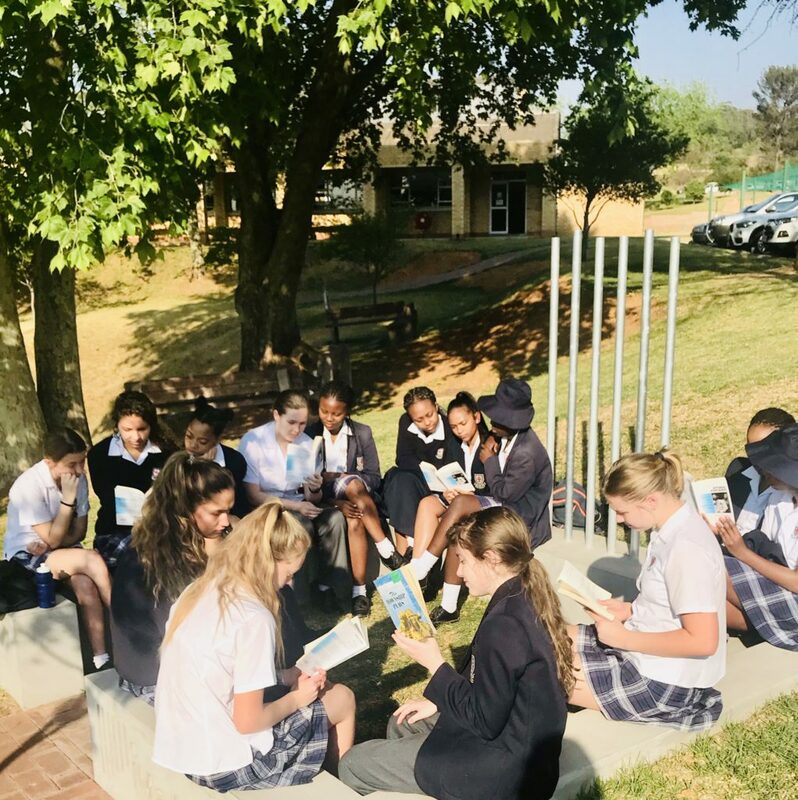 The Grade 10 girls studying drama used the site while they were studying legendary South African protest play “The Island” which has brilliant connections to the iMadiba site. Read about this below as written by Taryn Henning, the head of Dramatic Arts at the Girls’ College. In Grade 10, as part of our South Africa Theatre section, we study “The Island” which was devised by Athol Fugard, John Kani, and the late Winston Ntshona. It is also one of the play options for the Grade 12 syllabus, if we so choose. The play is set on Robben Island and most of the action in the play occurs in “the cell” of the prisoners John and Winston (the actors used their first names). It is a 1970s protest play, bringing to light the injustices experienced by many black prisoners during Apartheid. Yet, its universality speaks to all those who have been oppressed and imprisoned for rising up against an unjust government, much like the play-within-play Antigone that the prisoners “perform” at the prison concert. We read the entire text within the “confines” of the iMadiba Project site. This experience truly rendered the isolation, restriction and oppression that the characters speak of more emphatically. The actual installations, or micro museums, are artistic recreations of Madiba’s Robben Island cell but to the cell’s exact dimensions. They are literal reminders of our past as South Africans and the future we continue to build together. 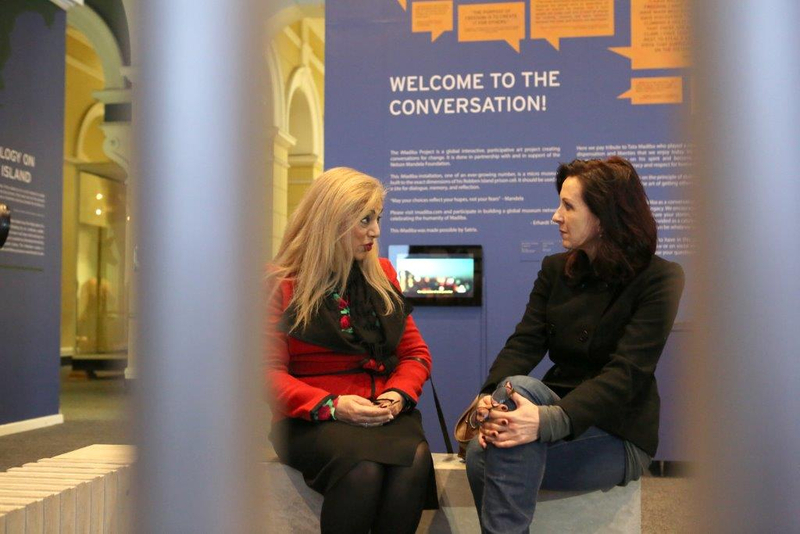 The micro museum has bars, as the cell did, and its open doorway symbolises that the space is always open for conversation and reflection. People are invited to engage with the installations and understand what Mandela endured by feeling the cold concrete and the bars. Through this engagement, we will be reminded of the oppressive, inhumane system that was in place, the work we have done in moving forward, and the work that is still ahead of us. If you or anyone you know is interested in sponsoring the project or helping us increase its global reach, please contact thabs@cnandco.com. To learn more about the project visit the website at www.imadiba.com.